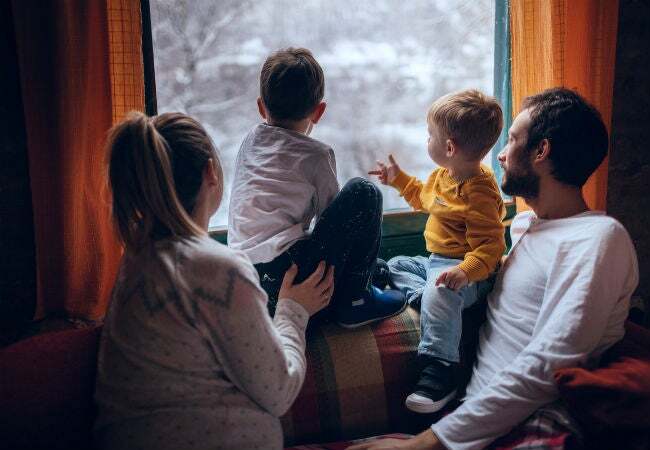 Here’s why a high-tech thermostat is the smartest, simplest, most multifaceted new device a homeowner can install—ideally before winter weather turns brutal. Back in the 9-to-5 world, when people got up, went to work, and returned home at the same time every weekday, nobody wondered how to build something better than the typical programmable thermostat. It got the job done. Before its debut, homeowners had to keep the air conditioning or heat running all day if they wanted to return to a comfortable home. The energy-saving alternative was to have to remember to turn the heat or air off every time you left the house and back on when you returned—and then had to wait for the house to reach a comfortable temperature. The arrival of the programmable thermostat was a huge upgrade in efficiency and comfort. Homeowners could preset it to kick on at their regular arrival time and shut off when they left again. But with today’s varied schedules, the programmable thermostat just doesn’t cut it anymore. Sure, you can plug a few basic times into it, but you can’t capture the nuances of a schedule that changes daily. More folks are on flextime or working remotely, shuttling kids straight from school to activities, and traveling for business and pleasure—even my schedule changes significantly from week to week. And unless you remember to adjust the settings before you leave on a trip, chances are your heating, ventilation, and air-conditioning system will waste precious energy on an empty house. Enter smart thermostats. These intuitive, WiFi-enabled devices keep your home comfortable and save you real money about as automatically as possible. Though some form of smart thermostat has been on the market for the past several years, there’s now enough variety to see real advancements within the category. For example, the best new thermostats do more than merely control temperature; they now monitor conditions inside and outside the house! If you’ve delayed buying one out of fear of technology or concern that it’s just a passing fad, I can tell you with certainty that the smart thermostat is here to stay—and a worthwhile addition to your home. After reviewing some of the latest technologies to emerge in this category, I see three reasons to invest in a smart thermostat—the sooner, the better. Ease of use is key to how a smart thermostat can lead to lower utility bills. You can control it with your voice at home or from anywhere on the planet with your Internet-connected gadget of choice. Even better, the latest smart thermostats are so effortlessly functional that they can “learn” your temperature preferences, anticipate your needs based on room occupancy and your proximity to the house, and adjust themselves accordingly. So, why wait until serious winter weather arrives and heating costs soar? Install a smart thermostat now as a simple set-and-forget way to maximize savings. Smart thermostats hit the market in 2011, and each subsequent model has been a vast improvement over its predecessor in terms of attractive features and easy interfaces. 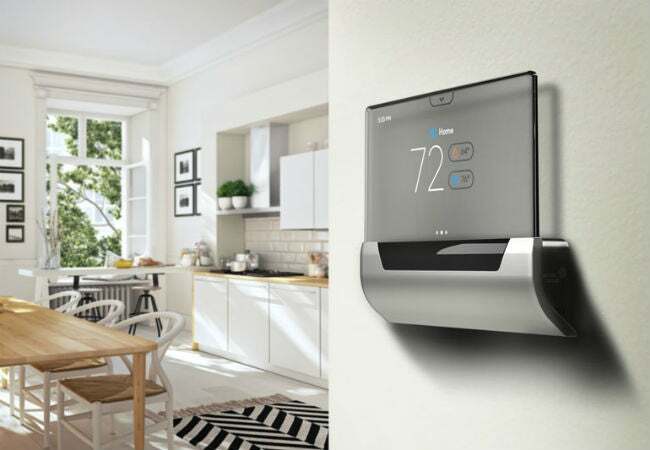 It wasn’t until this summer, though, that Johnson Controls—the company credited with inventing the first room thermostat 135 years ago—released its own WiFi-enabled device for the home and office. While Johnson Controls has long led the field for industrial use, GLAS is their flagship device for consumers. It was worth the wait! More than a century of experience in temperature control has led to state-of-the-art features and performance. • For starters, GLAS has an integrated occupancy sensor that literally gets to know you: your habits, behaviors, and preferences. While you can directly input your general tendencies for activity and sleep, much like a programmable thermostat, it also uses a motion-activated occupancy detector to determine whether you’re at home or away and finesse the temperature to suit. There’s even a vacation mode to conserve extra energy—a big bonus when you take off for the holidays. • GLAS goes above and beyond mere thermostat settings—it monitors and assesses air quality as well, indoors and out. The unit continually tracks relative humidity levels, total volatile organic compounds, and equivalent CO2 levels inside and reports on allergens, air quality, and the UV index outside. It will even give you a weather forecast! When it comes to breathing easy, GLAS has got you covered. • GLAS responds to voice commands. Whenever you wish to refine the comfort level in your space—or obtain, say, temperature—simply ask. There’s no need to get up from the sofa, and no buttons to push. This smart thermostat comes with the Microsoft Cortana® intelligent assistant built in, ready to manage your settings when you greet it (“Hey, Cortana…”), and cooperates with existing smart-home assistants from Google Home and the Alexa-controlled Echo device. You can also check in and control your comfort settings from virtually anywhere using your smartphone or tablet via a mobile app. • Finally, GLAS looks great. The sleek, see-through, sophisticated design is light years ahead of the old boxy programmable units and arguably more handsome than most of its competitors today. It also features an easy-to-read OLED touchscreen, a boon to anyone tired of dealing with the obscure, tiny symbols often used for thermostat settings. The mere fact that Johnson Controls has joined the array of companies manufacturing smart thermostats is hugely indicative that this technology is here to stay and pushing forward. If you choose one of these innovative units in 2018, you’re unlikely to find the model outmoded in a few years. Instead, you’ll be equipped with today’s most cutting-edge capabilities, and when software updates occur, you’ll be first in line to have them integrated seamlessly into your WiFi-enabled unit. Some folks still shy away from “smart” stuff, believing they need an advanced engineering degree to install the devices and have them work in sync with their smart-home and HVAC systems. There’s no need for these concerns with GLAS. It’s designed to work with most existing HVAC systems and comes equipped with Microsoft’s Cortana® intelligent assistant, powered by Windows 10 IoT Core. This also means that GLAS can be installed in not only residential settings but also in commercial applications as well. Clearly, there are excellent reasons why the GLAS smart thermostat is so hot—and cool—in any season. Put one in now to enjoy optimal comfort and breathe easy in your surroundings, every day of the year, for years to come. Retailing at $319, GLAS is now available for purchase at glas.johnsoncontrols.com. This content has been brought to you by Johnson Controls. Its facts and opinions are those of BobVila.com.